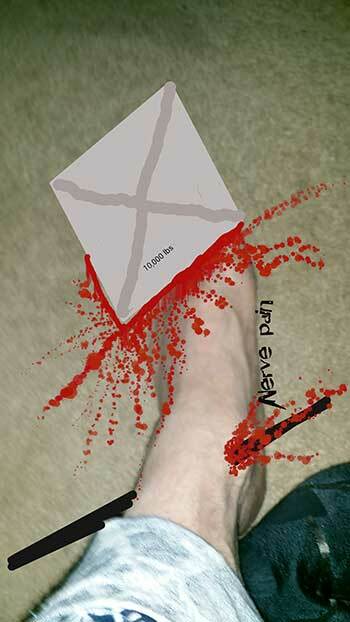 This is one of the various forms of pain I constantly endure; feeling like my foot is being crushed while being stabbed through. It feels so real. I remind myself it's not by putting the words nerve pain in the picture.